Iranian President calls on Iranians to protest against “usurper Zionist Regime” on annual day of protests. 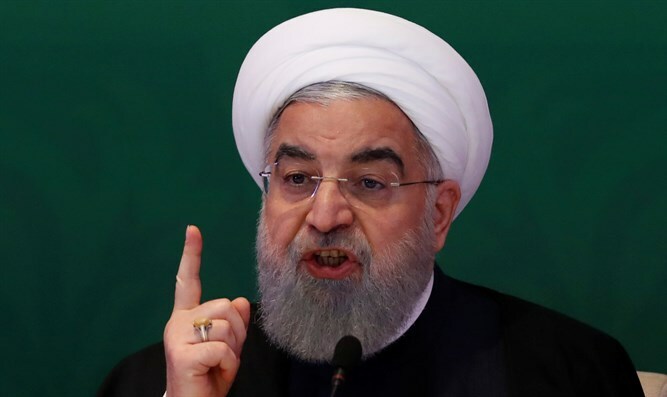 Iranian President Hassan Rouhani on Thursday called on all Iranians to turn out for mass protests on Friday as part of the annual Al-Quds Day. Al-Quds Day is an annual event created by Iran’s first Supreme Leader, Ayatollah Ali Khomenei. During Al-Quds Day, rallies are held around the world and are used to incite against Israelis and Jews. This year, according to i24news, alongside the main protest in Tehran, rallies are expected in cities around the world including New York, London, Copenhagen and Toronto, although they will not all be held on the same day. Last year, flags of the Hezbollah terror group were openly flown during an Al-Quds Day parade in London, with police taking no action. The protesters took advantage of a loophole in the British law which blacklists only Hezbollah’s “military wing” and not its so-called “political wing”. Iran’s foreign ministry also promoted the Al-Quds Day marches, according to i24news. “Such circumstances have turned this year’s Quds Day into one of the most sensitive periods of time in history as far as the issue of Palestine is concerned,” said a foreign ministry statement.